Every year in North America citizens & firefighters are seriously injured, sometimes fatally, due to grass & brush fires. 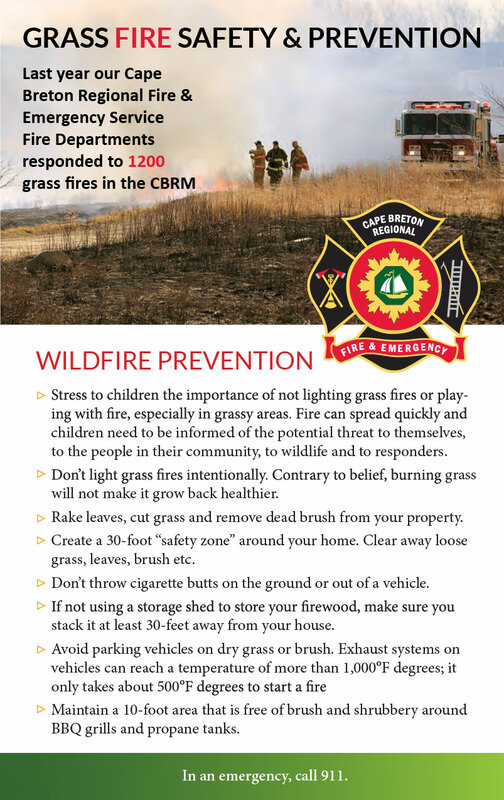 Last year our Cape Breton Regional Fire & Emergency Service Fire Departments responded to 1200 grass fires in the Cape Breton Regional Municipality. That is an average of 57 fires per day, every day for 3 weeks.Burning grass reduces grass yield by over 50%. Burning grass destroys habitats that could take several years to recover. Grass fires commit emergency response vehicles and personnel that may be required for more serious incidents.